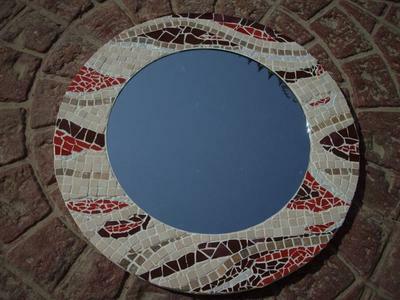 This mosaic mirror started out with looking at all kinds of mirrors and trying different colors together. Once I settled on the colors I wanted to use, I started out with a basic drawing. From there I just let the creative juices flow. I used the direct method.